To enrich the lives of our students, members, and the community through the art of dance. Located in the Tett Centre For Creativity and Learning in Kingston, Ontario, The Kingston School of Dance (KSD) has been promoting and teaching the art of dance since 1967. KSD delivers dance education of the highest standard to promote technical, musical and artistic development. The KSD welcomes and supports individuals of all abilities, ages and backgrounds by encouraging artistic expression and personal growth through dance. We are committed to changing the community’s perception of dance as a performing art and “who” a dancer is. Whether a student is pursuing dance for recreation or as a professional career, KSD faculty provide sound technical training while encouraging fun, creative exploration, rhythm and musicality. Many KSD alumni have gone on to enjoy dance careers through such venues as the National Ballet of Canada, Quinte Ballet School, Alberta Ballet, Ryerson University, York University George Brown College and The Toronto Dance Theatre! 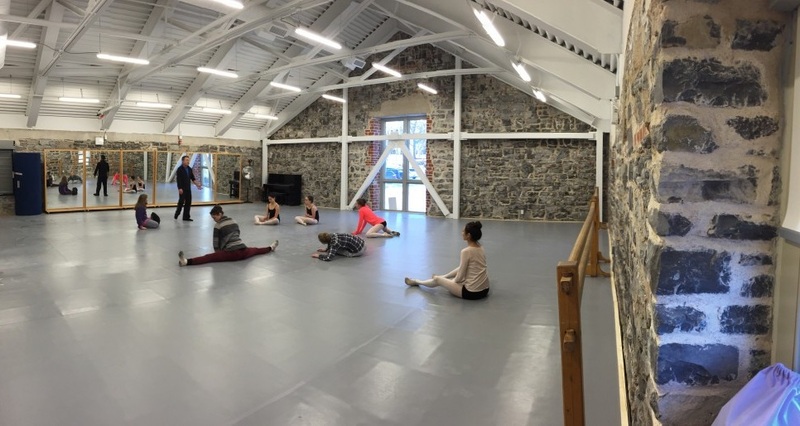 The newly renovated studio in the historic Tett Centre For Creativity and Learning is a state-of-the-art dancing facility. Studio A is 1600 square feet of the highest quality Marley flooring on top of a sprung floor. Studio B is 1400 square feet of professional wood sprung ballroom floor. It is divided into 2 separate smaller studios of 700 sq. ft. each on busy teaching nights. The Kingston School of Dance is a not-for-profit, charitable organization. All of the money earned by tuition fees, fundraising, or donated to our organization are invested directly into the school and used in pursuing our mission: to enrich the lives of our students, members, and the community through the art of dance.